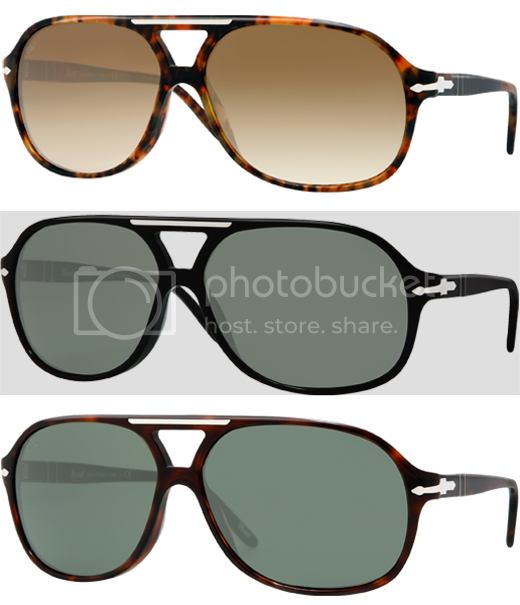 Persol should start sponsoring this site... seriously. I can't help it, call it brand loyalty, but they can do no wrong as far as I'm concerned and the new 2958s are no exception. Not only do they take care of the classic shades of tortoise and black, but they throw in a little blonde and two-tones just to keep themselves relevant and us guessing. The styling is similar to my favorite model of Ps, the 2813s, but with a keyhole and brow accent -- I don't hate.